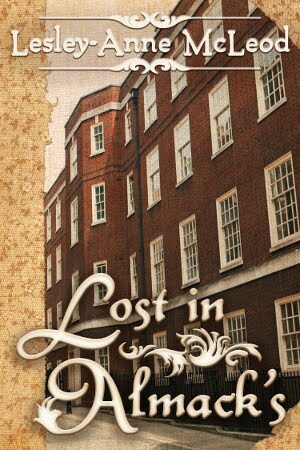 Certain places tend to hold a particular fascination for those of us interested in the Regency period: London. Brighton. Bath. Paris. Vienna. Demopolis. What’s that? You’ve never heard of Demopolis? You’re not alone. Few people outside the state are familiar with this west-central Alabama town, much less its unique connection with Napoleon Bonaparte. The story of Demopolis actually begins in France. After the fall of Napoleon, many of his supporters were exiled by the restored Bourbon King Louis XVIII. Some of these Bonapartists, led by Napoleon’s former aide-de-camp, General Lefebvre Desnouettes, sailed to Philadelphia, Pennsylvania, where they petitioned the U.S. Congress to sell them land on which they could establish a colony. On March 3, 1817, Congress approved their petition with an act that allowed them to purchase 92,160 acres in the Alabama Territory for $2 per acre. One has only to look at contemporary engravings of the colony to predict its inevitable fate. 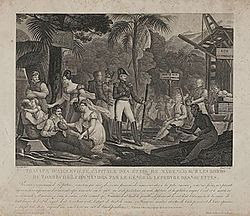 Illustrations in Parisian newspapers of the time depict elegantly dressed ladies and dapper military men toiling serenely beneath swaying palm trees—even though palm trees do not grow 140 miles north of the Gulf Coast. 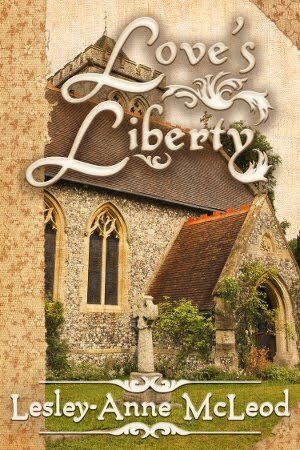 Just as the climate was harsher than the immigrants expected, so was the way of life. In France, they had been courtiers from aristocratic families; in Alabama, they would be pioneers. Except for the occasional pocket of civilization, of the Alabama territory was still mostly wilderness. In August of 1818, more bad news greeted the immigrants when a government survey revealed their actual land grant was located one mile east of their riverside settlement. Abandoning their newly cleared land, the settlers established communities called Aigleville and Arcola, neither of which exist today. In the meantime, the vine and olive crop failed, and several settlers died of fever. 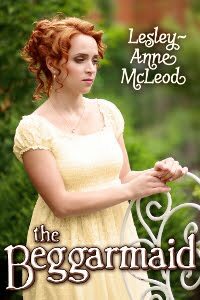 Others, disillusioned with pioneer life, returned to France or the predominantly French towns of Mobile or New Orleans. By the end of 1818, only 69 settlers remained in Alabama. But the climate, so unsuited to vine and olive cultivation, proved perfect for large-scale cotton production. In the 1830s, cotton planters bought up the old French land grants and established huge plantations. The vine and olive colony was dead, and cotton was king. It would reign for the next century. Still, the area’s French heritage lives on in place names such as Marengo County, named after Napoleon’s victory at Marengo, Austria; Linden, the Marengo County seat, a shortened form of Hohenlinden, where Napoleon defeated the Bavarians; and in street names such as Desnouettes and Herbert. And according to local lore, in the few surviving olive trees, which bear their fruit every summer as if awaiting harvest by a ghostly hand. Sheri Cobb South has never lived in Demopolis, but she has driven through frequently and has toured Gaineswood and Bluff Hall, its beautiful antebellum homes. 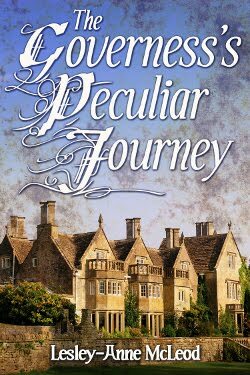 Her writing, including the John Pickett series of regency mysteries, has been interrupted by a cross-country move from Alabama to Colorado, but her regency romances, released in electronic format by Belgrave House, are now available for Amazon Kindle. The New Monthly Magazine and Universal Register was a British journal published from 1814 to 1884. It combined news from around the world and Britain with a wide variety of articles, and some humourous and pointed 'letters to the editor'. 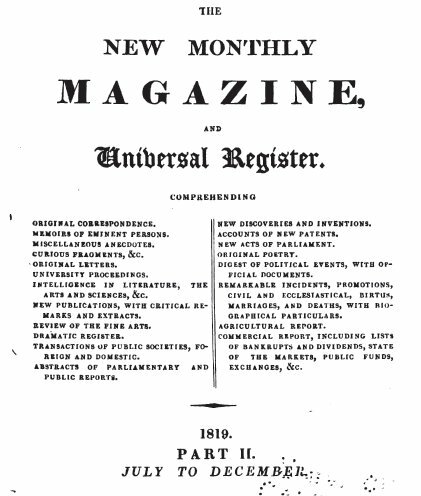 The August 1, 1819 issue of the magazine has a number of interesting articles: 'Philosophy of Domestic Economy', 'A Tiger and Lion Hunt in Hindostan', 'Remarks on the Southwark Bridge', among others. 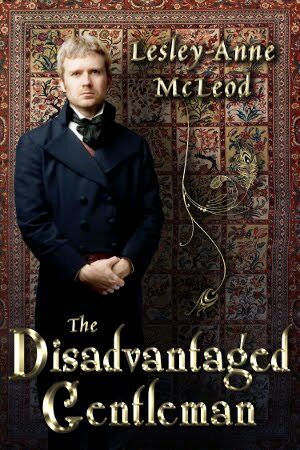 One of the most interesting however is a tongue-in-cheek look at the language currently in use by the upper classes of society. The writer addresses his remarks to Mr. Editor and shows, by his biting definitions, his disdain for the current morals and modes of the beau monde. I wish we knew the author of this wickedly funny work. 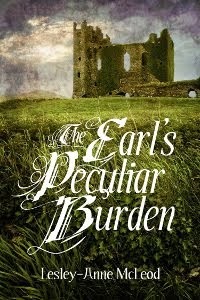 It gives us a wonderfully acute look into the world of the beau monde by a contemporary. 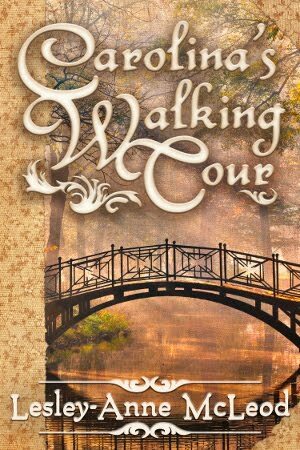 Next week, Sheri Cobb South, award-winning author of Regency romances, will visit to talk about the Regency in Alabama and its intriguing connection to Napoleonic France. 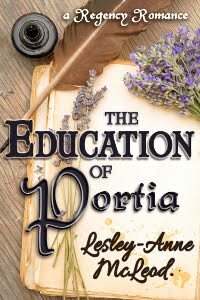 Sheri's writing, including the John Pickett series of Regency mysteries, has been interrupted by a cross-country move from Alabama to Colorado, but her Regency romances, released in electronic format by Belgrave House, are now available for Amazon Kindle. 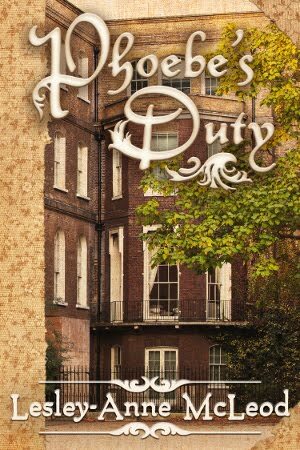 Joanna Southcott -- Faithful or Fanatic? 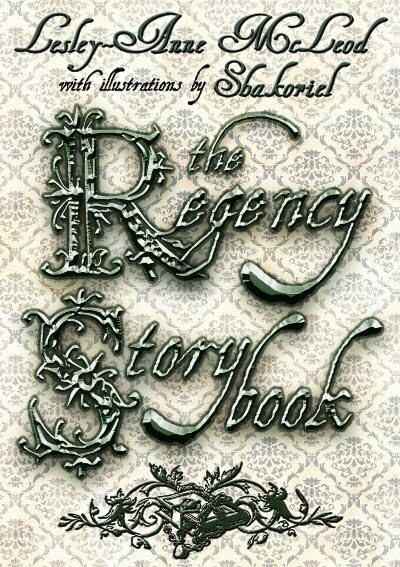 The Regency era had its fair share of fanatics and eccentrics, but few of their names have resonated through the past two hundred years to the present day. 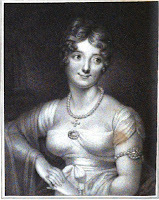 Joanna Southcott (her name is variously spelled Johanna, her last name Southcote) is one of the few. In our world, she has a Facebook page, her name is associated with a South Park episode (Royal Pudding), and she was referred to in a Monty Python sketch (The Epsom Furniture Race). 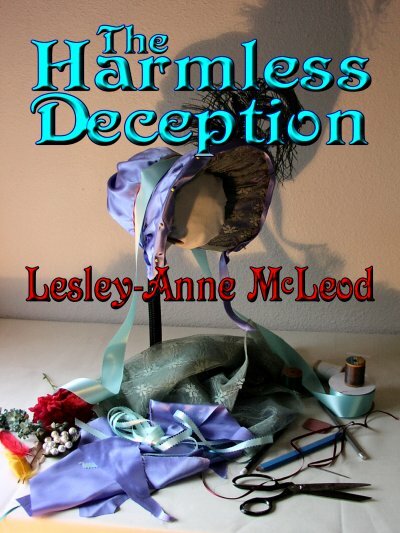 In the Regency era, she was viewed with equal parts of faith and of dismay. 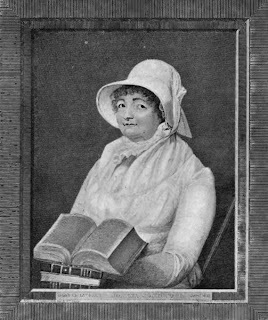 Joanna Southcott was born in Devon in 1750 to a farming family. She spent part of her early years as a domestic, but in about 1792 she was taken with the belief that she was possessed of the gift of prophesy. In fact, she believed she was the woman mentioned in the Book of Revelations in the Holy Bible. She spent the following years writing her prophesies and collecting over 100,000 followers who paid anywhere from several shillings to a guinea to be 'sealed'; that is, to receive a square of paper folded and wax-sealed with a seal she had found bearing the initials 'I.C.'. She believed these initials stood for Jesus Christ. "I warned the Parliament; and they refused the warning, and the sword of war followed; but now is come the second warning, from the woman's hand to the shepherds." Two things ensured her lasting notice by history. One was 'Joanna Southcott's Box' -- a sealed box containing her prophecies and valuable papers. The box was supposed to be opened in the presence of twenty-four bishops, but it was never possible to gain the agreement and attendance of said bishops. One box, claimed to be the original "Ark of the Testament", was opened in 1927 and found to contain nothing of value. The Panacea Society, the last remnants of Joanna Southcott's followers, claims to have the original box in safe keeping still. Southcott's other claim to lasting fame came about when she believed herself to be pregnant with the new Messiah at age 64. Her followers greeted this revelation with rapture, and the 'pregnancy' was met by a flood of preparations and gifts for the coming of the Shiloh of the Book of Genesis. Chief among these was the 'cot' of cradle of satinwood and gilt, costing reportedly 200 pounds. "It would be criminal in us to omit the story, and much more, to insert it without deriving from it an occasion of caution against the first deviation from rectitude, truth, and duty." - A superb Manger, fitted up as a Child's Crib, decorated with infinite taste, and made of the most costly materials, by Seddone and Co. with its draperies, hangings, etc. cost 300 pounds. 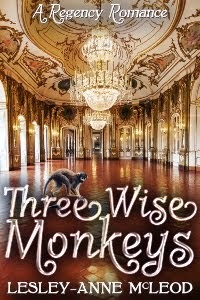 - A costly Mohair Mantle, a purple Robe, divers rich Frocks, Bibs, Caps, etc. - A magnificent gold Caudle Cup, ditto Pap Boat, and spoons, with a complete set of matchless China Caudle Cups, etc. - Many dozens of rich Wines. - A matchless Child's Coral, with golden bells. - Fourteen brilliant Diamond and other Rings, some with curious devices and pious mottos. To her credit, in the last days of her life in December 1814, Southcott instructed that all these gifts be returned to their donors. The 'cot' remains in the possession of the Panacea Society. 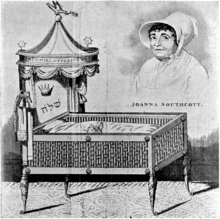 Joanna Southcott expected the birth of her divine child in July 1815. By September it became obvious that something was wrong. 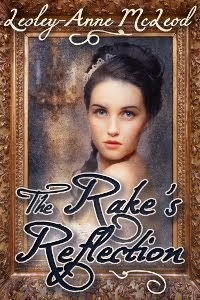 Joanna began to believe that "Now it all appears delusion". In fact she wondered if Satan had misled her for many years. She died on December 27 and was observed for four days, as per her instructions, in case she was merely in a trance, or should rise from the dead. When it was clear that she no longer lived, a dissection was done and dropsy declared the cause of death. Since then, people variously have claimed the cause of death to be brain disease, cancer, or possibly cystic growth of the kind seen in 'hysterical' pregnancy. 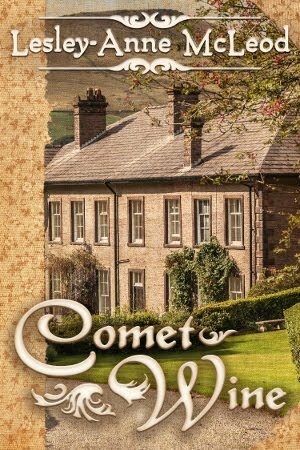 Whatever the truth of her life and death, Joanna Southcott has resonated through the past two hundred years. There have been several books written about her, there are many websites devoted to her, and her own writings are available from Google Books. A simple Google search will bring a multitude of results. 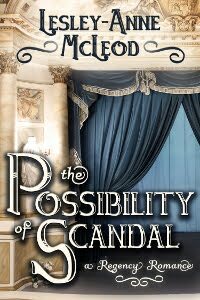 The Regency era--as always, full of surprises! 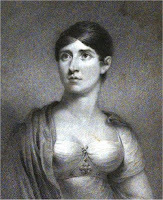 Sarah Siddons--the name resounds through the two hundred years since the Regency. She was the finest actress of the period, respected and admired. But she was not the only actress of the times; there were many, their names and their talents now forgotten. 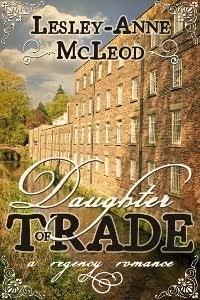 Regency romances use actresses for many purposes. Heroines conceal their identities by treading the boards, courtesans ply their trade through the stage, ladies trick their gentlemen, gentlemen find their mistresses among them. But for many women, acting was a job--a trade, one of the few at which they could earn a living. And if gossip sullied their reputations, many of them did everything in their power to dispel the rumours about their lives and associations. The popular journals of the days helped them, by publishing brief biographical articles. These articles immortalize women of lesser talent, perhaps, than Sarah Siddons, but no less determination and valor. La Belle Assemblee, that most popular of ladies' magazines, offered each month "Biographical Sketches of Illustrious and Distinguished Ladies". It included some actresses among these ladies, and calls into question our accepted idea that women of the theatre were consistently condemned. In May of 1812, La Belle Assemblee published this engraving of Mrs. Edwin, an actress, and offered a three page sketch of her life. She was the child of theatrical parents, and began her career in Dublin, as did many actresses of the day. 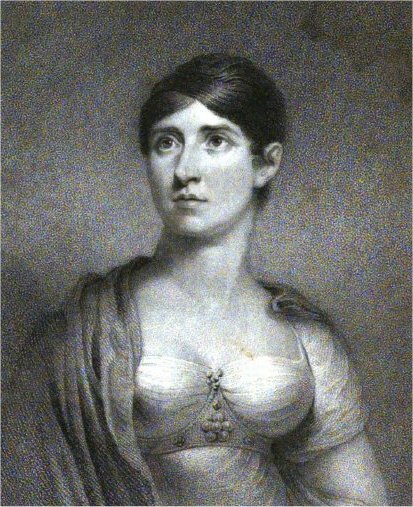 Then, "she first emigrated to Cheltenham, where her private character which had stood unsullied midst all the seduction, glitter, freedom and temptations of private theatricals, soon procured her not only the patronage, but the personal esteem and protection of the first circles." In fact, the Duchess of York became her patron and her success in England was assured. She performed at the Lyceum after the Drury-Lane Theatre fire, and in 1812 was apparently earning "the particular praise of her professional contemporaries..."
A Miss Smith was likewise celebrated in a sketch in the March 1812 issue of La Belle Assemblee. 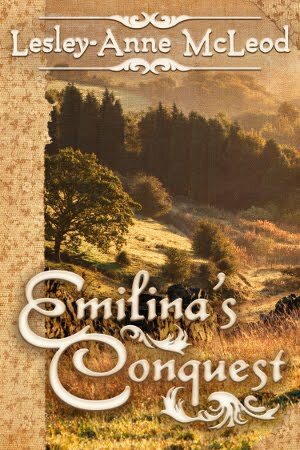 Her background is not delineated at all--she appears suddenly on the stage in Lancaster, and then proceeds to Edinburgh, York and Birmingham before appearing in Bath. 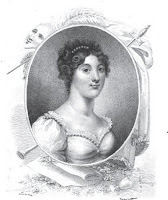 Despite her lack of known antecedents, she finds "the most fashionable people of Bath began to countenance and encourage her, and she was frequently invited to the houses of several of those ladies who direct this little metropolis of the west." 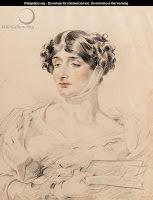 She was invited to Covent-Garden Theatre in 1805 and achieved a success which led the writer of the biographical sketch to dub her the successor to Mrs. Siddons. "The style of acting in which Miss Smith has acquired a reputation which is daily increasing, is the same line to which Mrs. Siddons owes her fame." The Ladies' Monthly Museum likewise published biographical articles on notable women of the day. They frequently included actresses: "Among the numerous candidates for histrionic fame, who are distinguished for their personal attractions, native worth, and rare perfections, we can never be at a loss for subjects to present our readers;...:"
In September of 1817, the Monthly Museum chronicled the life and career of Miss Maria Foote in its own florid and uncritical style. Her family history is detailed, and her parents' success on the stage of Plymouth Theatre, where her father was manager, noted. Maria began her career on stage as Juliet at age twelve. 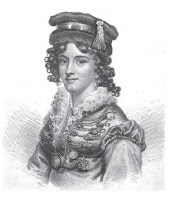 In 1814 she began appearing at the Theatre-Royal in London: "the audiences have been forward in bestowing applause, the critics of the days have not been backward in joining their just meed of praise." The article concludes "In fine, we have pleasure in saying, that she promises to stand one of the first and foremost in the drama." "Miss Taylor is of a good height; her person is formed with great symmetry; she treads the boards with much ease and dignity; and her action is graceful and appropriate. She has a clear, sweet voice..."
The magazine notes that Miss Taylor is capable of "a very powerful and effective piece of acting", and mentions that in one of her roles, "there is not the least tincture of vulgarity." 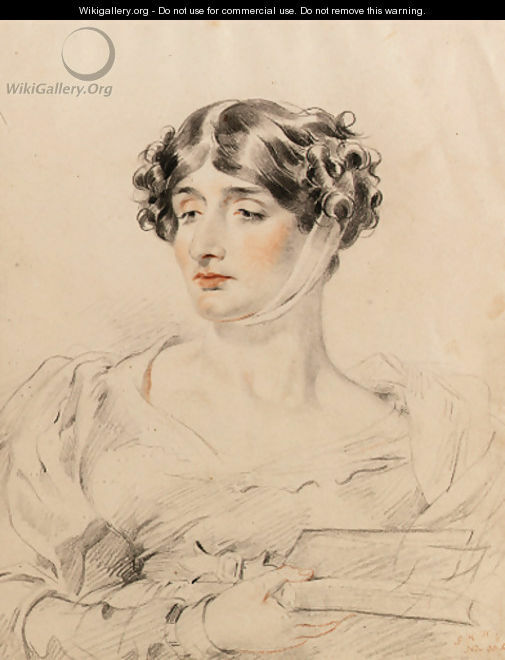 It seems that the most actresses of the Regency avoided vulgarity even if a stage role called for it! 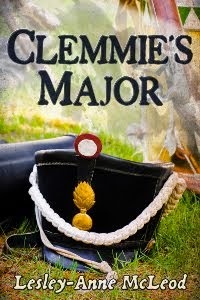 They were careful of their reputations, serious about their careers, and considered worthy of recognition by society. It is a somewhat surprising take on an occupation that we are accustomed to assume was demeaning and held in disrepute.